Naples RE Market Showed Resilience in 2017! 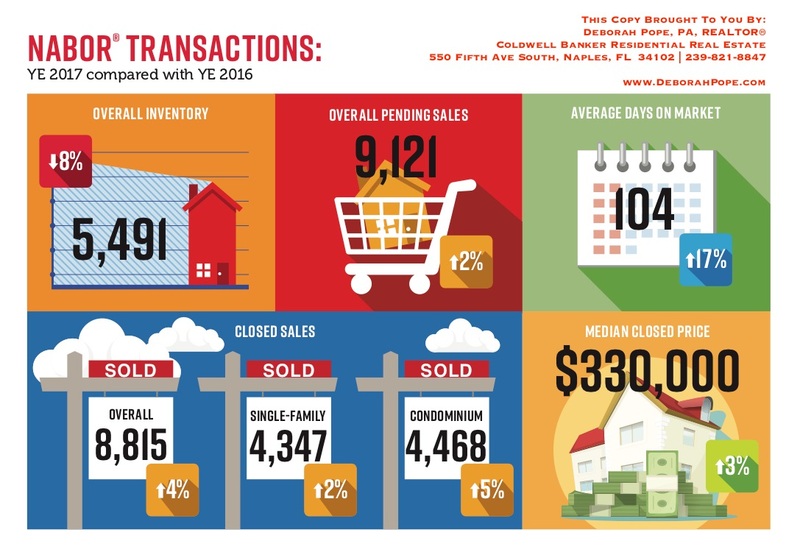 The Naples Area Board of Realtors has just released final numbers for the 2017 market data, and the news is that the Naples area has shown that it is resilient and strong following the many challenges we faced last year. The impact of Irma basically reduced our 12 month market to an 11 month market and the statistics still reflect a confidence in the market which is leading into a very optimistic 2018!